Mastic is a natural product that comes from mastic trees. It is a natural resin, off white colour, semi transparent. As it comes out of the tree trunk is forming "tears". It is used as a natural and hygienic chewing gum, excellent for teeth cleaning and as a medicine for stomachache, stomach ulcer, diabetes, cholesterol etc. Furthermore in Muslim countries is used for religious purposes, because its use is recommended in the Koran. The mastic tree is an evergreen bush 1,5-3,5m tall. It has an irregular shaped trunk (light grey when young and grey-reddish when older) with a lot of branches. Its scientific name is "Pistacia Lentiscus var. Chia" The tree lives about a hundred years and is fully grown after about 40-50 years. It starts giving its resin (mastic) from 5-6 years old. After about 15 years produces from 60 to 400 grams of mastic. Mastic tree thrives only in the south part of the island of Chios and nowhere else in the world. According to theories it only thrives there, due to under water volcanoes, the mild climate and the lime consisting soil which has high drainage properties. The preparation of the tree and collection of mastic is a laborious job that starts at the beginning of June, carried on until December. 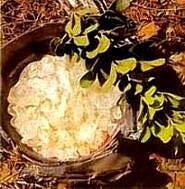 From ancient times mastic has been used as a natural medicine. A leaf fossil from a mastic tree has been found dating six million years. Recently mastic is used again in pharmaceutical industry for the therapy of stomach ulcer and general stomach disorders. Traditionally mastic is taken as medicine for diabetes, cholesterol and any kind of stomach problems. A recent research of the University of Athens / Department of Pharmacy proved that Mastic and Mastic oil have remarkable antibacterial and fungicidal properties. In 1999 in a medical conversion it was announced that mastic cures the stomach ulcer. In USA and Japan, they produce medicine from mastic, that cures stomach ulcer and relieves stomach ache. Traditionally mastic is taken as a medicine to drop the sugar levels of the blood (diabetes) and to improve cholesterol.